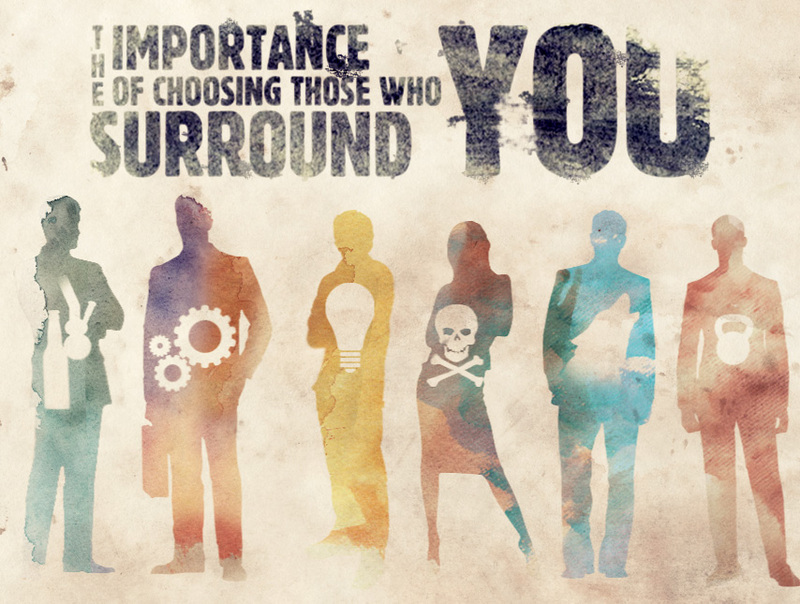 You may not exactly be the absolute average, but the people you surround yourself with influence you a lot. That is why it’s so important to be conscious of those you choose to spend a lot of time with. 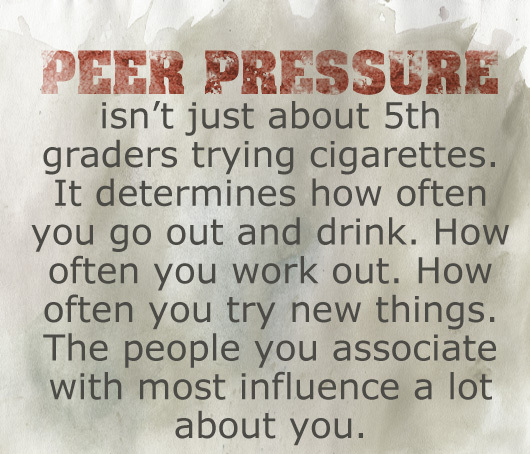 Peer pressure is a huge issue for people – even after high school or college – because no one wants to be the one who is not fitting in or “cool.” You want to be cool! You want to be the person willing to do anything. So doesn’t it make sense to surround yourself with people of high quality? Think about it. If peer pressure is strong, imagine how much better it’d be if you were mostly around great influencers and people of substance. People who influence you and make you want to achieve more. You’d be surprised how many people lack a good surrounding and you’d be even more surprised to know that there are tons of people who don’t realize how toxic their friends are. Maybe you’re in this situation right now. I’ll give you an example from my own life. I used to spend a lot of time with someone who wasn’t exactly the best influence to those around him. He was pessimistic, lazy, and always talking bad about other people. As you can imagine, this made me become a very negative, unmotivated, and bitter person as well. I started adopting a new rule of thumb. Bring the people who raise you up closer and cut out (or distance yourself) those who bring you down. There are some situations where it’s much harder or impossible to remove yourself from toxic people, for example in a work environment or family situation, but your social circle is suspect. I’ll first go over what toxic friendships look like, what good friendships look like, then I’ll go over how to build or nurture friendships that affect you in a positive way. There are certain people in your life who are draining you and you may or may not even realize it. Bad influences who always remind you of your past mistakes, make fun of you for, or unsupportive of, trying something new, and others who make you feel judged every time you’re around them. 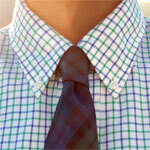 These are the more obvious ones. But ask yourself if being around your friends is something you do out of convenience or is it because you genuinely enjoy their company? Are they encouraging you when you tell them about what’s going on in your life? Do they really listen? If the answer to any of these questions is even uncertain then you may have to reflect upon your social circle. It’s easy to make a lot of acquaintances and toxic friends, but it’s hard to find the few who make you a better person. This is a numbers game because it is very hard to find good company, but it’s well worth it once you do. True friends make you want to learn from them not because you think they’re above you, but because you see the qualities that attract you to them in the first place. Cheesy as hell, right? Doesn’t make it any less true. I wrote an article a while back on what to look for in great friendships and it seems to have resonated with many people because it was one of the most popular articles. It may seem obvious but I see many people who have “best friends” only out of convenience. They sit together not saying a single word to one another and I doubt their situation in private is any better. You want true friendships you can rely on and know that you’re becoming a better person because of them. Friendship is more than just convenience. True friends make you want to learn from them not because you think they’re above you, but because you see the qualities that attract you to them in the first place. Cheesy as hell, right? Doesn’t make it any less true. The first thing is to look where you’ve already looked before. You may be surprised that your best friend may be someone you’ve already met and dismissed or prejudged. One of my current best friends and greatest teachers is someone who I thought was a total jerk a few years back. I talked behind his back, criticized his every move, and felt he was just a scum. I was wrong and the things I did were shortcomings of my own that I’ve since overcome. After spending more time with him I realized he was a brilliant philosopher who thought the same way I did. My initial critiques of him came from my own ignorance and immaturity. He’s even the basis of many of the articles I’ve written on friendship. It was he who taught me the importance of never talking behind the backs of others. Another best friend of mine is someone who I used to think was awkward, boring, and mean. I didn’t have much to base this on but for some reason my mind just thought this way. Maybe I was jealous because he was a good-looking guy. See? That was my own mind twisting my perception of him. It’s pretty easy to misjudge someone and that is why it’s important to re-evaluate to see if your judgments are accurate. If you feel you want to toss yourself into a new environment then begin to actively look for things to do with other people. Meetup.com is a great, free website that allows you to search for things of interest in places near you. For example, if I’m a huge fan of tennis, I can go on Meetup.com and look for groups that actively go out to play Tennis together. You meet people who share your interest and you’re bound to meet unique people. You can exchange contact information and hang out outside of the meetup. I’ve wanted to learn Tango Dancing for the longest time but haven’t gotten down to it yet. You can bet I’m going to a Tango meetup to learn something I’ve always wanted to do while meeting new people at the same time. Maybe I’ll form an awesome friendship there, but if not then the worst thing that could happen is I learn some Tango. What’s better than that? Best-case scenario is you make awesome friends who have things in common with you. The worst thing possible is that you do what you like. Obviously having things in common is one part to an awesome friendship, so what’s better than seeking out people who are also looking for others to do this activity with? The level that you rarely see in friendships is genuine love where it’s an environment and culture where you openly and sincerely show how much you care for each other. This could be verbally through saying “I love you, man” or actions like always being there for them. Amazing surroundings do take work to build and it can be scary to show that kind of openness if you don’t know how the other will respond. If the idea of such a strong friendship frightens you, show your friends you love them through your actions. Always ask if they’re doing okay, listen when they talk (which you should always do), and be there for them. These bonds are going to last a lifetime. Imagine if you worked on creating more of them. Introduce your friends to each other and create a family. 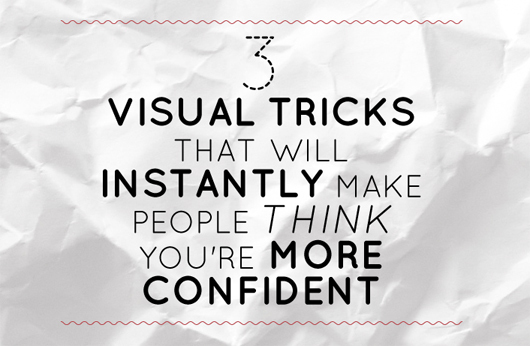 Do this enough and your friends will introduce you to even more people and the family keeps growing. When it comes to your best friends, you won’t worry about wearing a mask when you’re with them. That alone makes it worth it. Thanks for having me, Andrew! I value people who remind me of my past mistakes. It’s a reminder to avoid similar things from happening. Shouldn’t we own up to our mistakes instead of simply labeling them as mistakes and doing nothing about them? Are you referring to the section about toxic friendships? Yup. That part jumped out at me because of what I said and wanted to point out my views. I did sign up for your newsletter after reading this, so that’s good news, right? I definitely advocate fixing our mistakes, but that wasn’t the point I was getting at. In a way, cutting out toxic friendships is one way to own up to your mistake. You can keep terrible influences around you for years (or all your life) and never do anything about it. I’d say that fits your description from your last sentence more. This part of my article is a little more difficult to understand without more context. There are people who will ignore the fact that whatever was in the past is different from who you are today or even if it’s something that’s been solved. Of course mistakes shouldn’t be ignored nor should we act like all is well. It becomes an issue when even though you’ve moved on past your mistake, these people will bring it up passive-aggressively. Thanks, it took me a few reads, but I got what you mean and would agree in that context. I used to work with a guy who would volunteer to people that his best friend was in prison for a drug conviction. And this guy was a Mormon! I told him that people judge you by the friends you have. If people can see that you have low-lifes and losers as friends, they’ll assume that you are like them as well. It’s about time we realize that your ancestors’ beliefs about character and reputation were well grounded, and not something which we allegedly sophisticated and enlightened moderns can dispense with now. Definitely agree with you there. People only have a limited amount of factors they can take into account when judging you for the first time (or from afar.) Who you spend your time around is perhaps one of the most telling. I’m not saying it’s wrong or right, but it’s definitely something to be conscious of. I totally agree with you on the benefits of great friendships. Yes, they do take a lot of effort and time to build. But the rewards that you (and your friends) reap from the bond are truly priceless. More importantly, I do find that I’m the average of my closest friends and family. Their hard work motivates me to work hard. Their success inspires me to push towards my dreams. I can honestly say that I wouldn’t be half the person I am today if I haven’t spent years bringing these people who raise me up closer! Yeeeesh, as someone from a dysfunctional family this one is a punch in the gut, there is much work to be done!